Contact Us It was a long time coming, but we are finally in our new home. 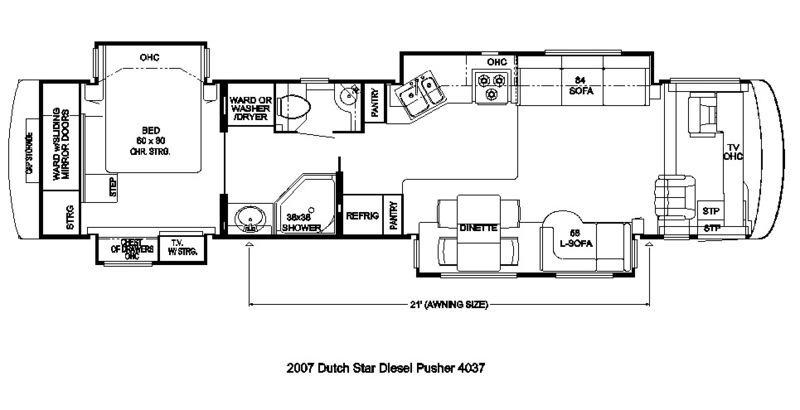 Our new home is a 2007 Newmar Dutch Star with a 4037 floorplan. Although there are always little tweaks necessary on most new motor homes, and this one was no exception, we are so happy with how it has turned out. It is a truly beautiful home in which to start out on our adventure to see North America. See below for pictures and improvements/updates along the way. Plus you can see additions, modifications and upgrades we have made by going HERE. 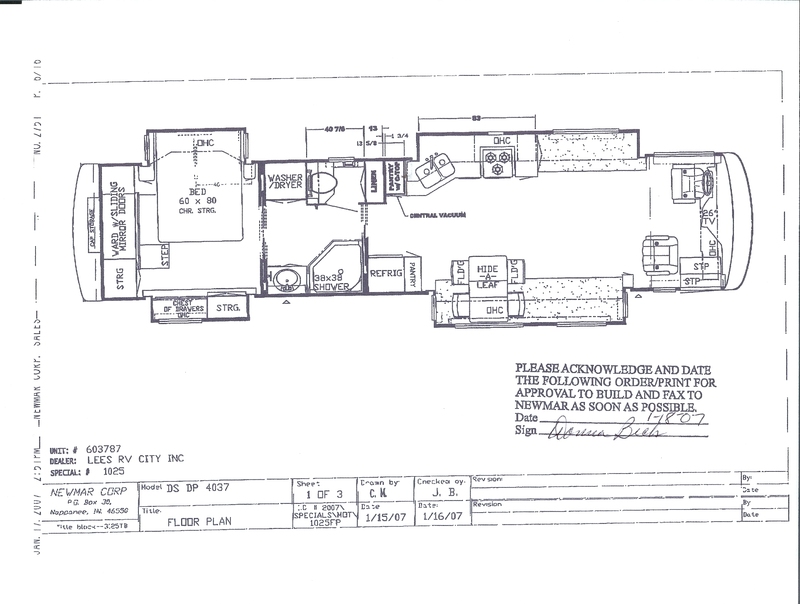 Here we take delivery of our new home on April 11th, 2007. With us is Lee Litchfield of Lee's RV City, in Oklahoma City, OK. Lee is the dealer we used in buying our new home. Lee has been great to make sure we got what we were expecting and to run interference thru Newmar when necessary. And just a few of the inside. The woodwork is a glazed maple and is truly a work of art. The floor is a polished porcelain tile with granite inserts for accent. A couple of months after being in the coach we contracted with Irv Kaufman out of Nappanee to build some matching cabinets installed where the sofas would have been. These house our computers, a printer, a wine rack and some added storage. We also added 2 Lafer "Euro" chairs that have integrated foot support from Bradd & Hall out of Elkhart. No TV in the bedroom, just added storage space.